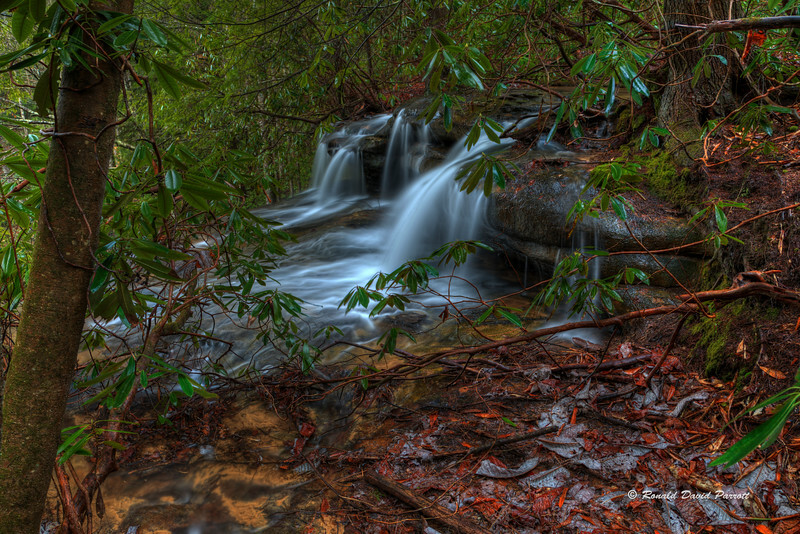 This is Upper Branch Of Hawk Creek Falls just before the main big drop. The small flow barely visible at the lower left is from a spring that emerges just off camera. The flow here isn't always this good. This photo was taken from underneath an umbrella on a rainy spring day.